Liverpool closed back to within two points of Premier League leaders Manchester City by coming from behind to beat Burnley 3-1 as Manchester United and Arsenal shared the spoils in a thrilling 2-2 draw at Old Trafford. Wolves also overturned an early deficit to inflict just Chelsea's second defeat of the season in a 2-1 win at Molineux, allowing Tottenham to move back up to third with a comfortable 3-1 win over Southampton. Given the relentless pace being set by City at the top of the table, Liverpool couldn't afford any slip ups at Turf Moor despite Jurgen Klopp making seven changes with Mohamed Salah and Roberto Firmino left on the bench and Sadio Mane missing through injury. A huge error by £67 million ($75 million) goalkeeper Alisson Becker was at fault for Burnley's shock opener when Jack Cork bundled home after the Brazilian fumbled in the wet conditions. 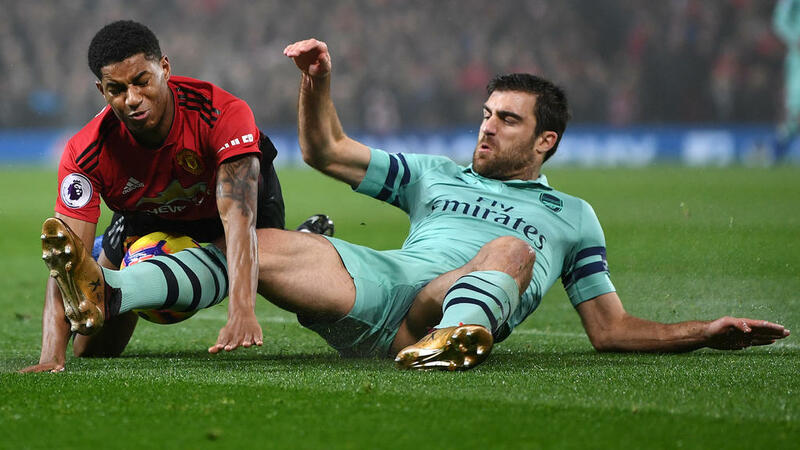 Arsenal stretched their unbeaten run to 20 games, but failed to take advantage of two gifts from the hosts as United's winless run in the Premier League extended to four matches. Amid an underperforming side this season, goalkeeper David de Gea has remained in almost impeccable form, but the Spaniard spilled Shkodran Mustafi's header over the line to hand Arsenal the lead 26 minutes in. Four minutes later the hosts levelled when Anthony Martial turned home Ander Herrera's cross after Bernd Leno saved Marcos Rojo's cross. De Gea redeemed himself with two fine saves from Pierre-Emerick Aubameyang and Henrikh Mkhitaryan also had a late Arsenal goal ruled out for offside as Arsenal had to settle for maintaining their eight-point lead over United. Wolves registered their first win in seven games despite going behind to Ruben Loftus-Cheek's 18th minute opener for Chelsea. Harry Kane turned home Christian Eriksen's cross to give Tottenham a half-time lead before Lucas Moura and Son Heung-min scored twice in four minutes after the break to bounce back from a painful North London derby defeat to Arsenal on Sunday. Honours were also even in a 1-1 draw between Everton and Newcastle as Richarlison cancelled out Salomon Rondon's opener.